Come back? : Is There A Problem Here? : Come back? Come back to bill pay? 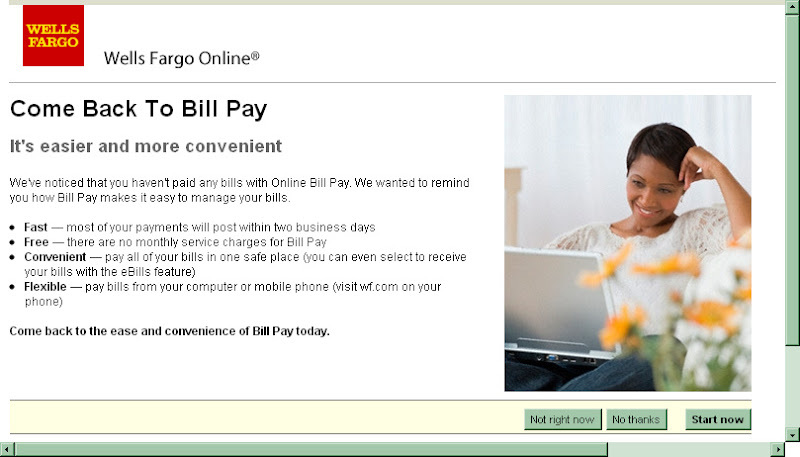 I haven't paid any bills with Online Bill Pay? I last paid a bill with this service only two days ago. What happens if I click "No thanks"? Will this disable a service I use or just make this message go away? If Wells Fargo's systems can't remember that I have, and continue to use their service, why should I expect them to remember to pay the bills?